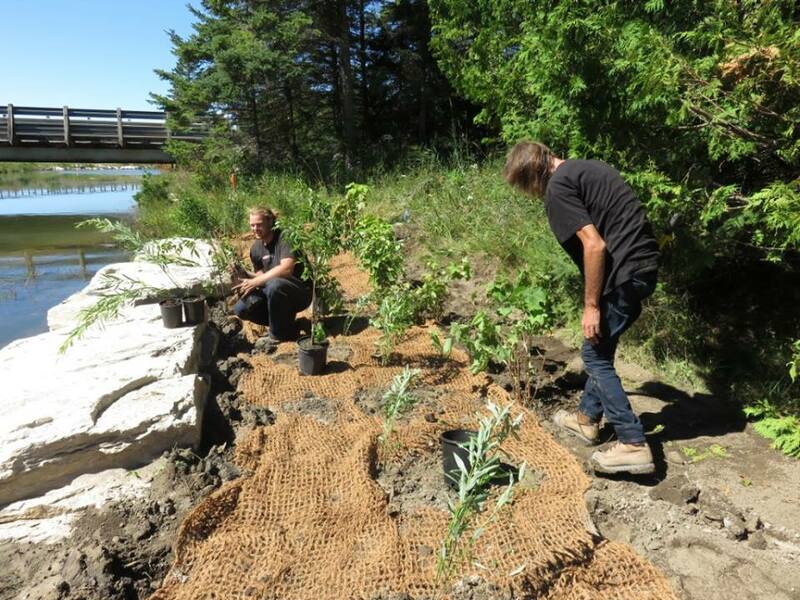 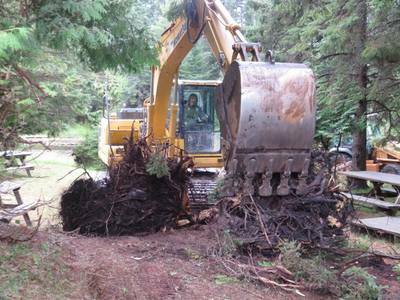 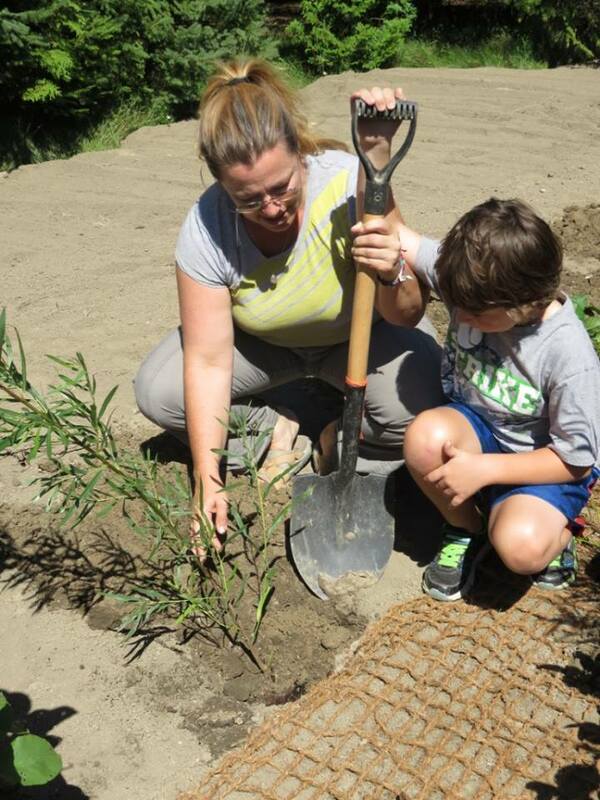 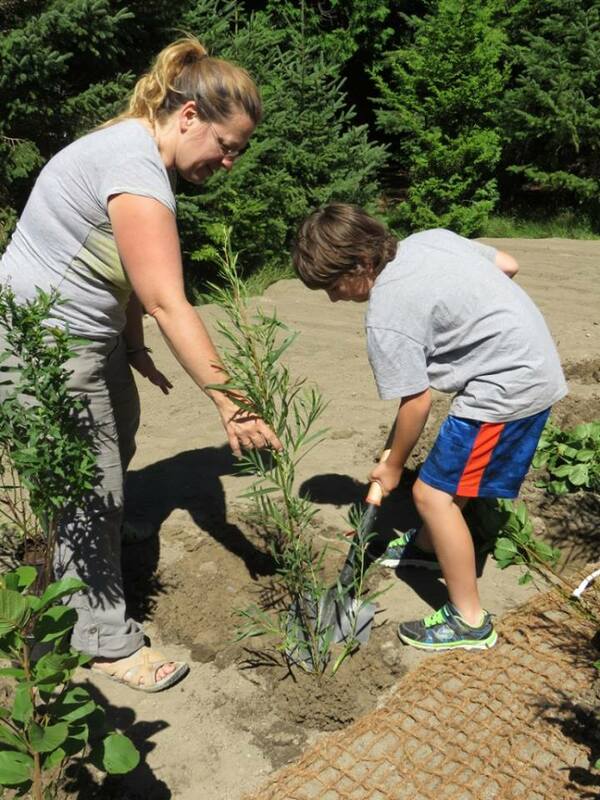 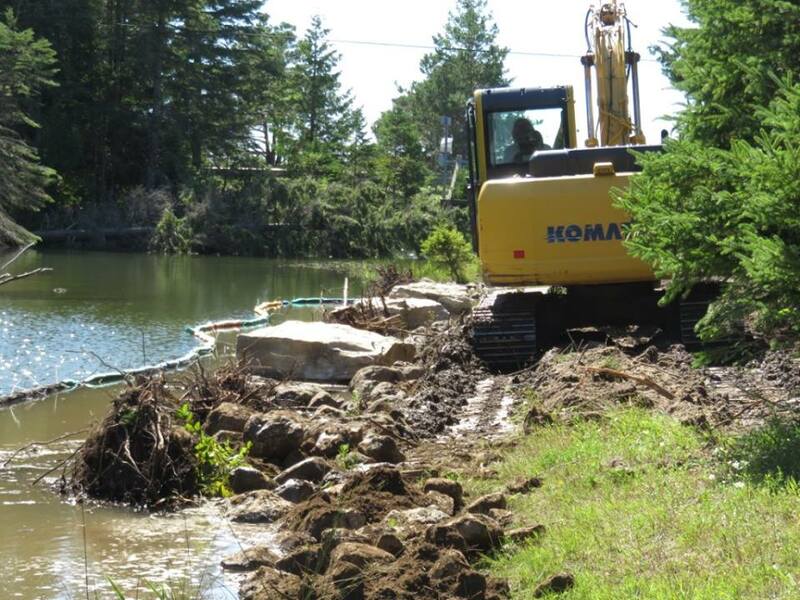 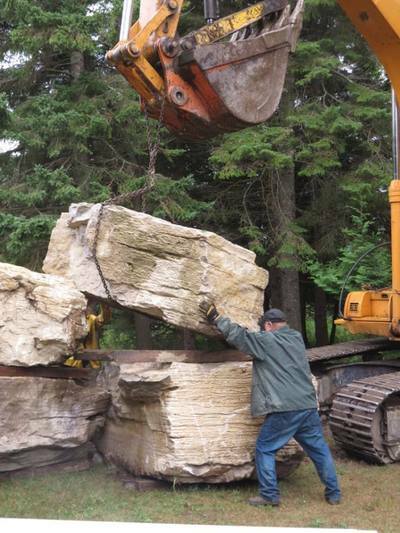 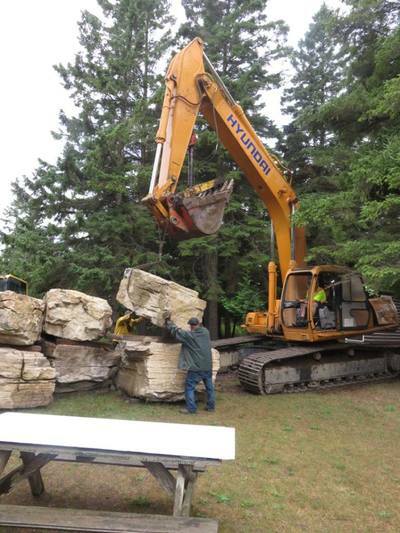 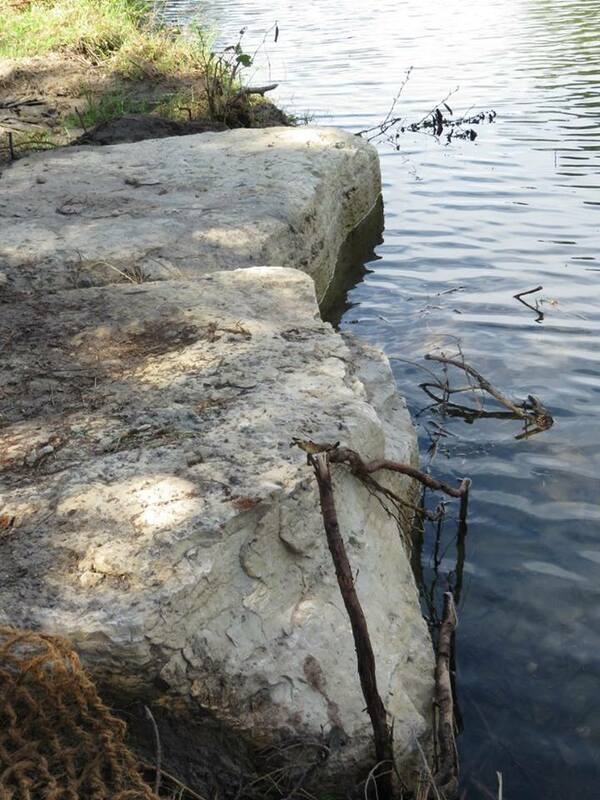 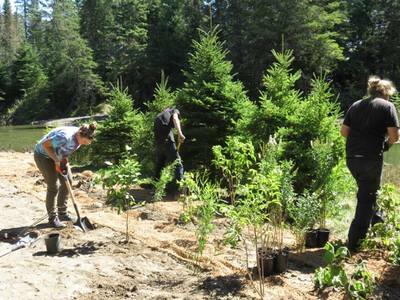 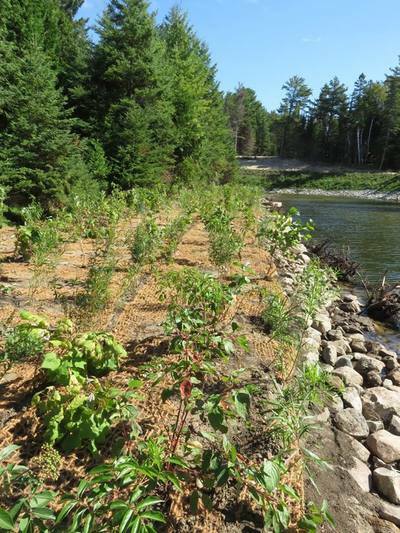 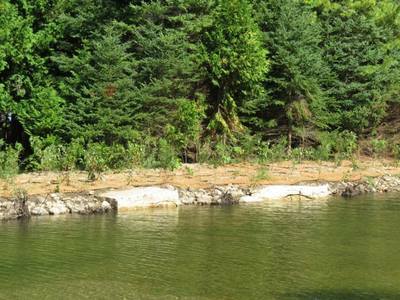 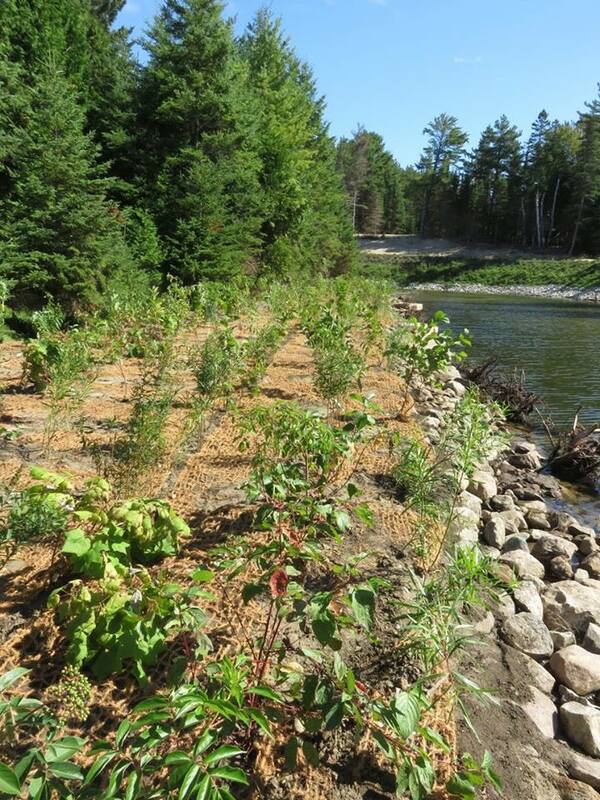 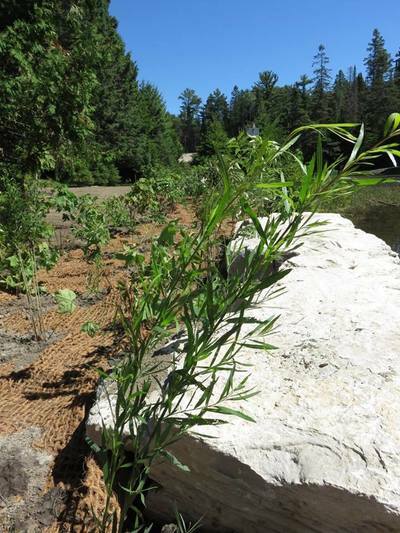 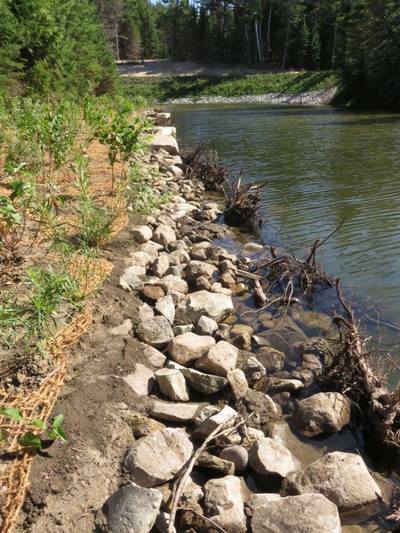 This year we worked on shoreline erosion issues on the Mindemoya River by restoring the shoreline banks by placing root wads and large boulders along the banks. 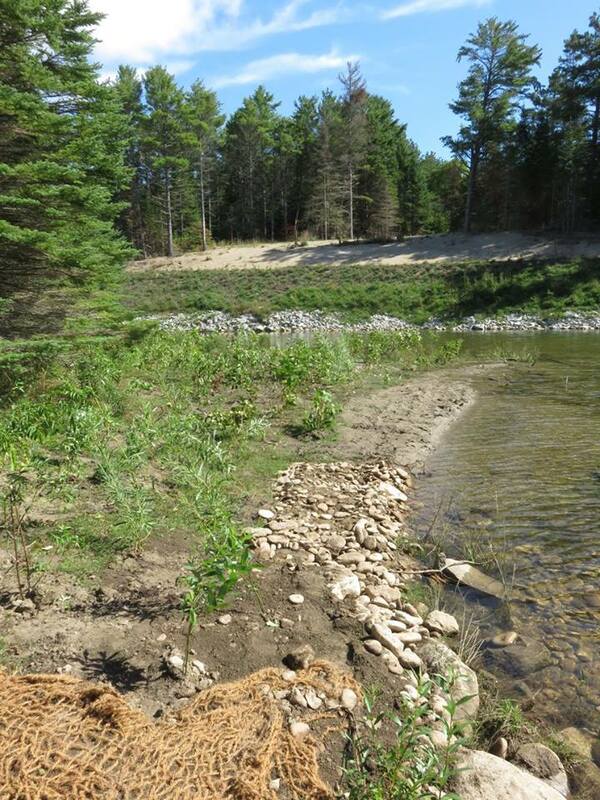 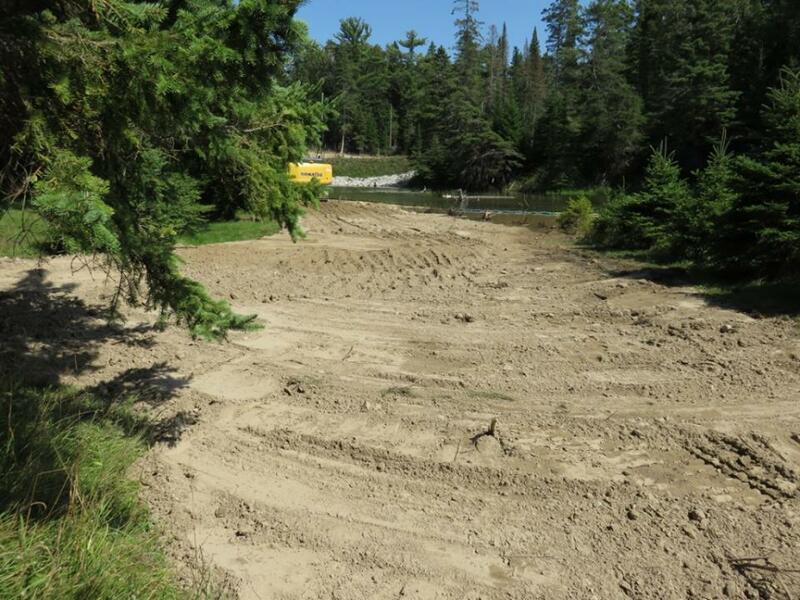 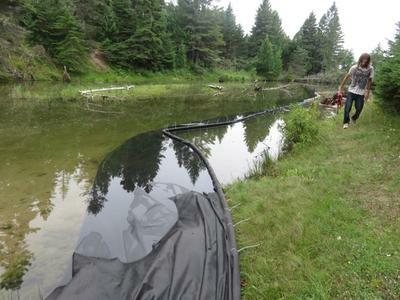 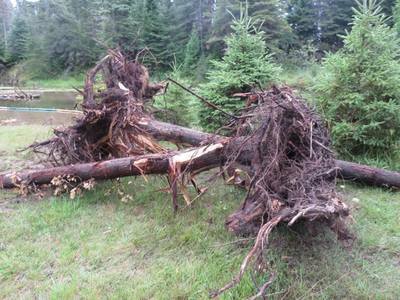 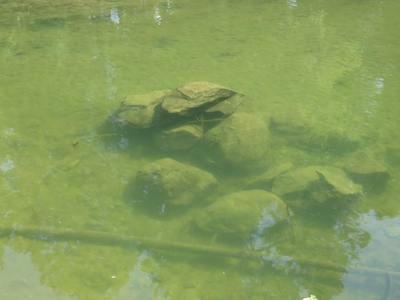 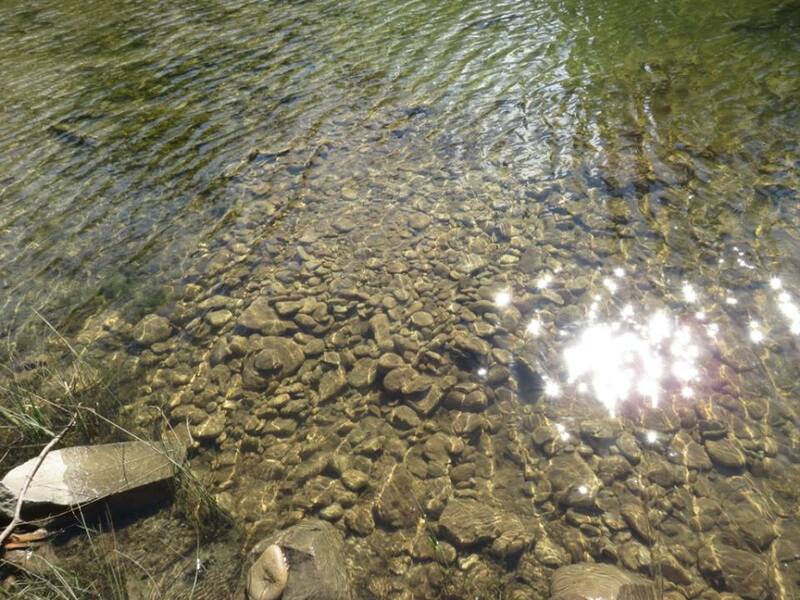 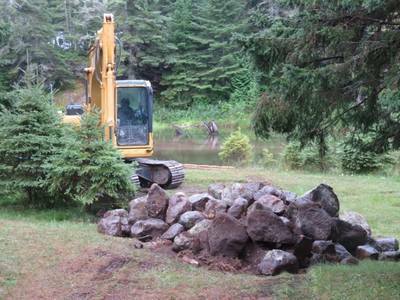 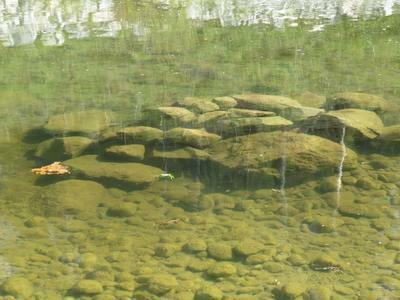 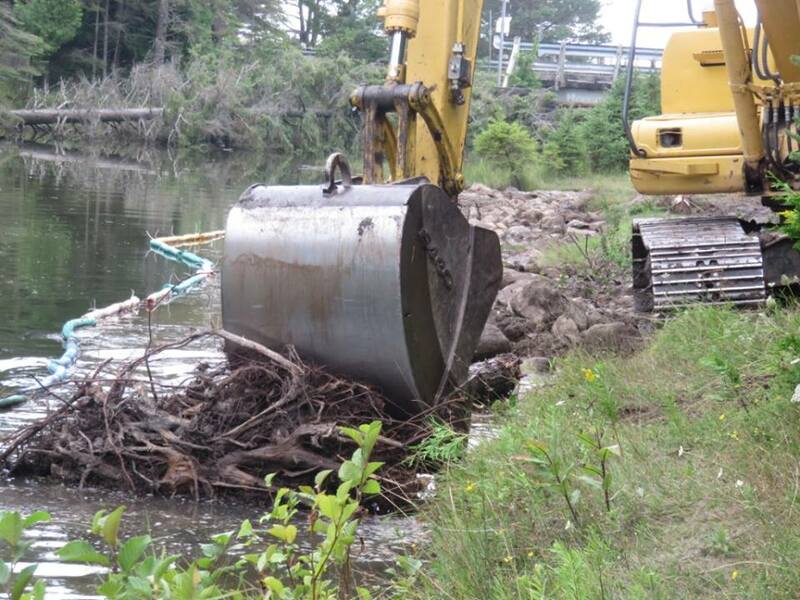 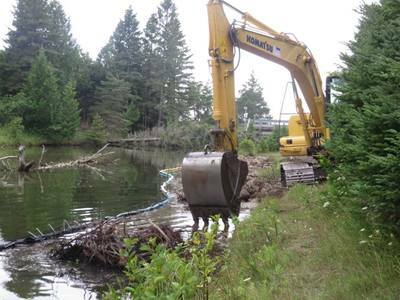 This also narrowed and deepened the water depth to help with fish migration up to prime spawning areas. 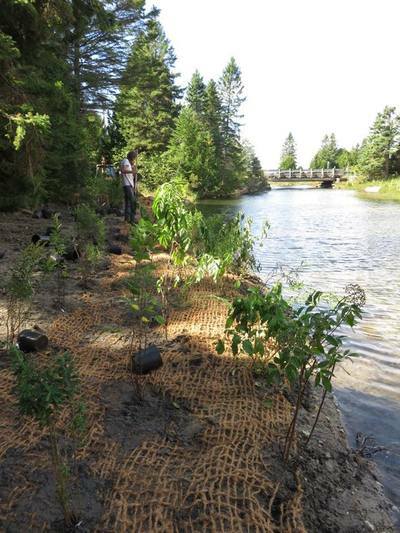 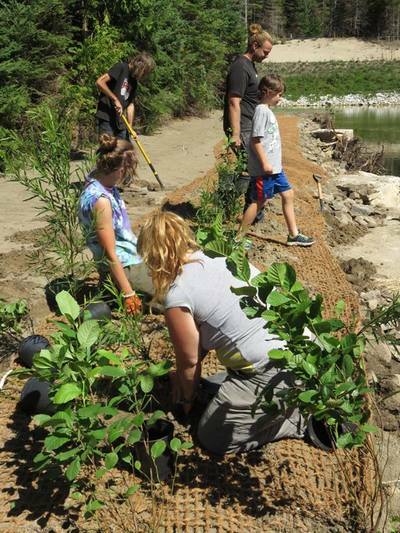 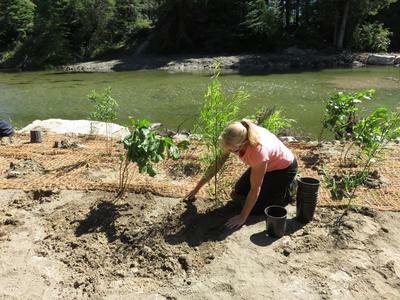 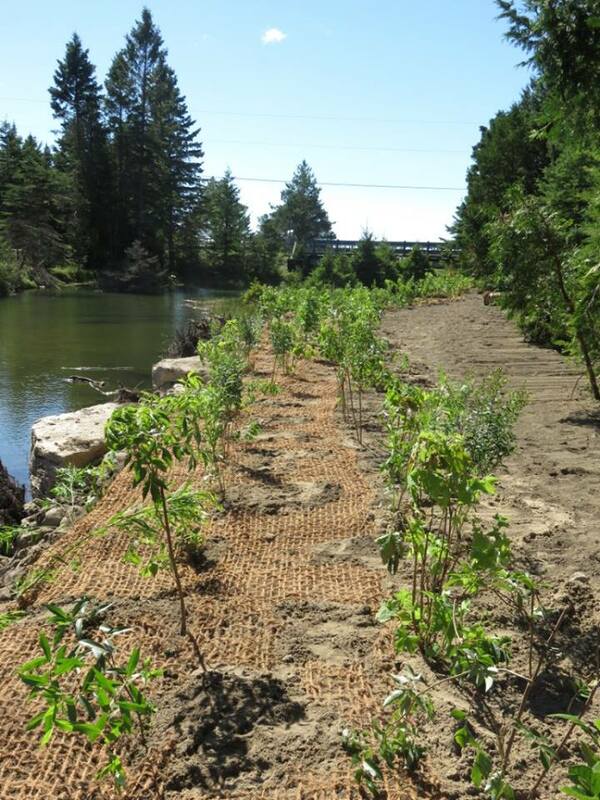 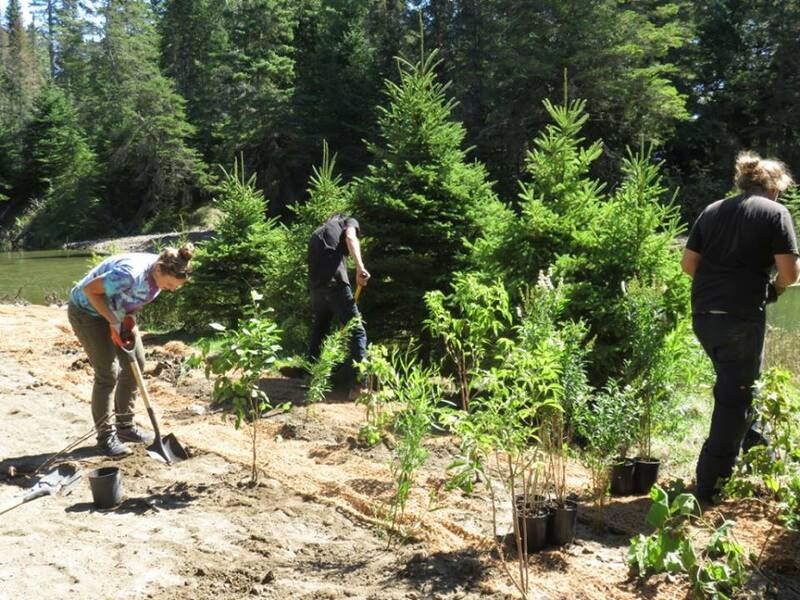 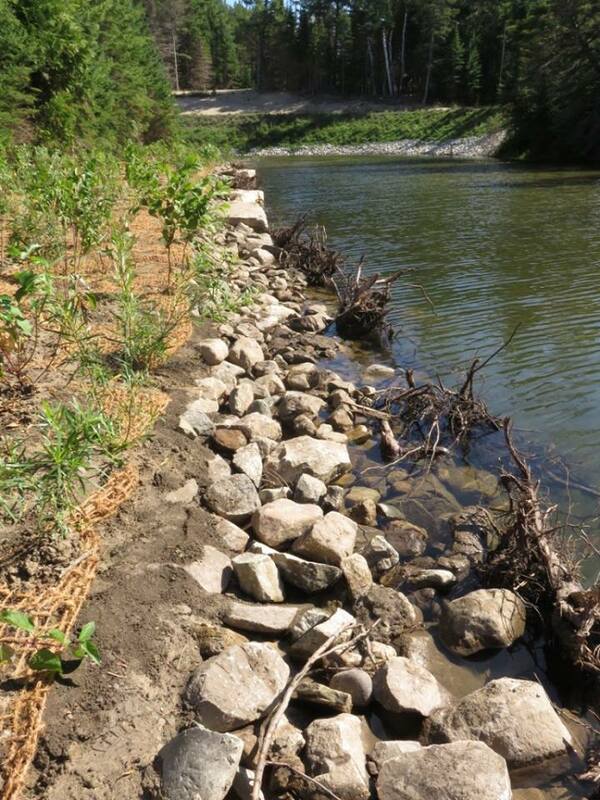 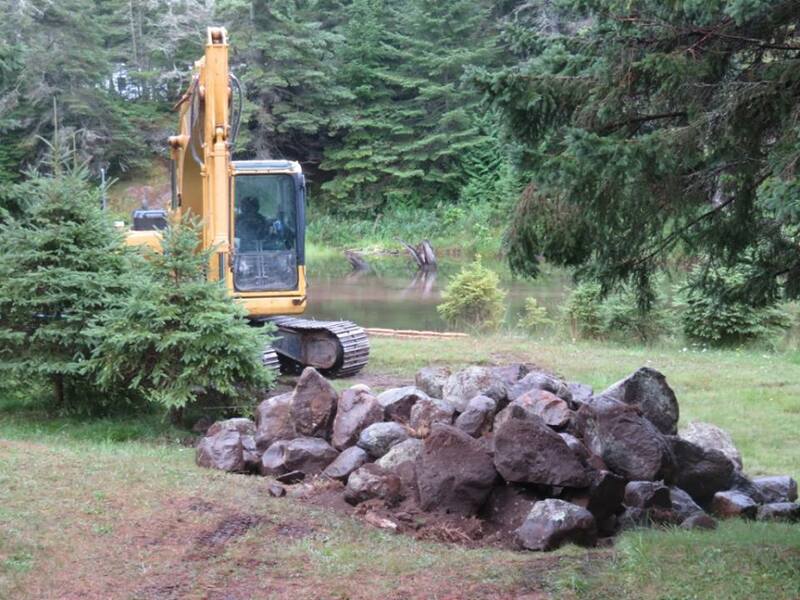 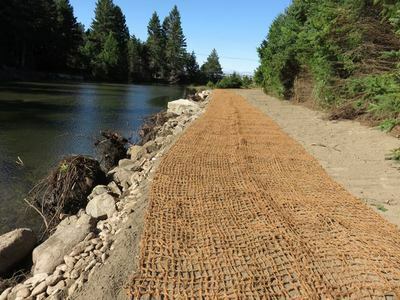 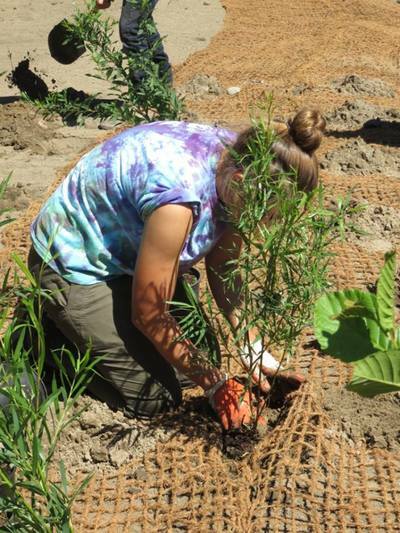 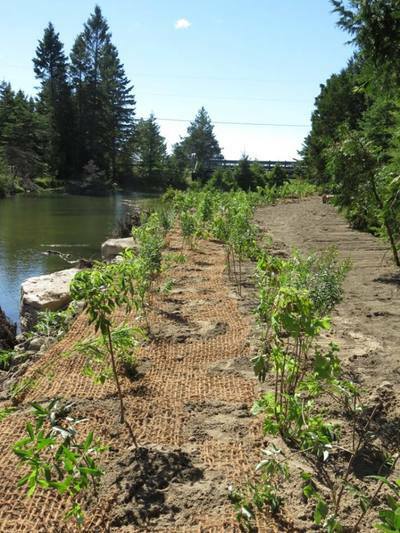 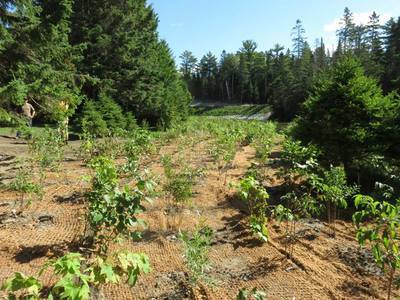 Several boulder clusters and spawning gravel were placed in the river to enhance fish habitat, and we restored the riparian area by placing coconut coir matting and planting native trees and shrubs on both sides of the river. Thank you to everyone that helped out with the project!